has been a good year for you. On Goro & Niko front, there was some news. We get their meal from two raw food makers. 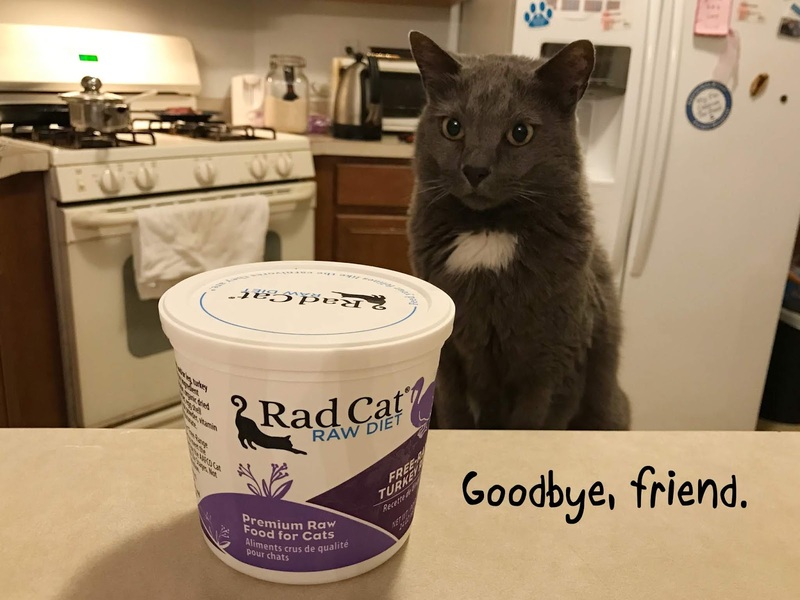 We found a new raw food kids approved. I also started making meal at home. Wider variety is good, I think! the length of his poop. in regard to their health. 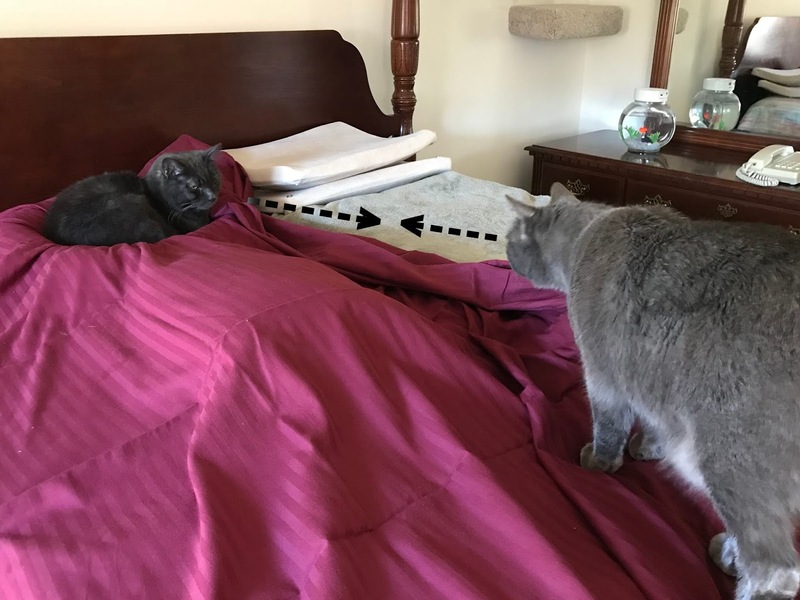 on a bed in Cat's Room. Niko loves this cat bed. Late last month, we had our house painted. I covered beds with sheets (as sort of a shield). Niko decided to use his cat bed. Goro came to check out. Kids often engage in an air whapping. on Saturday. It was a busy week! We wish everyone a happy week! Niko loves this bed by the window. I often find him napping here. And look! It works as a bunk bed! evil carrier that takes them to the Vet...! No hard feelings towards the bed? On October 25th, Niko turned 9 years old. I made a fish shaped chicken snack. Niko, you are our sweet, charming fur baby. We do our best to make you happy. We love you and happy birthday, sweetheart! Our catnip is growing big. I hope Kit likes catnip. We are remembering our sweet Kit. Goro is our kitchen supervisor. Makes sure dish gets washed. 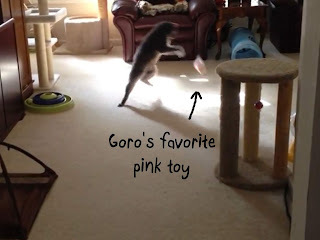 Goro decides "throw" or "keep"! After all, kitchen is a happy place. to make their tummy happy!